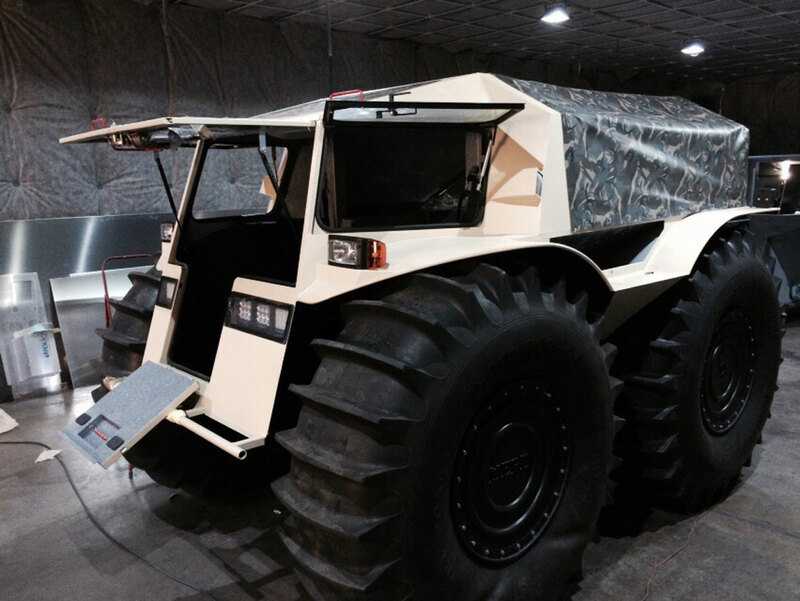 Sherp is a russian company established in 2012. 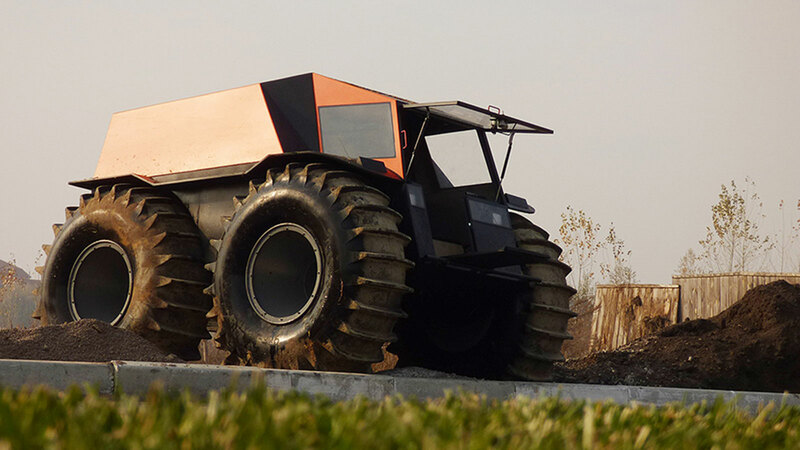 Their goal was to build the biggest baddest ATV with the best passing ability in the industry. 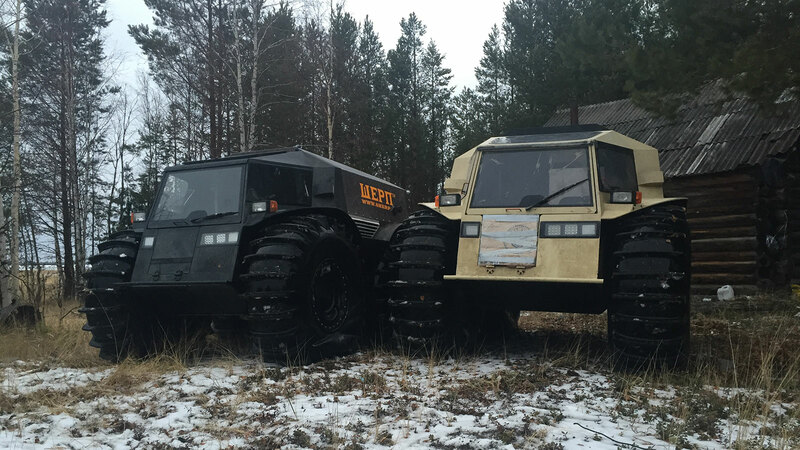 Just three years after completing the concept, they are ready to bring the Sherp ATV ($47K) into production. 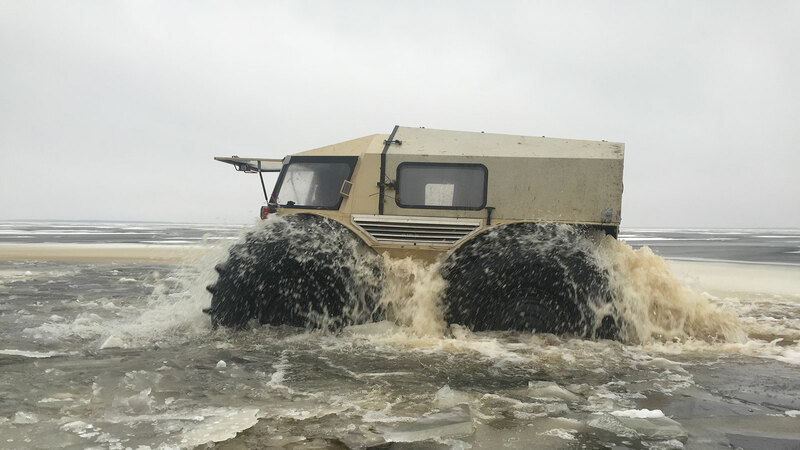 The Sherp ATV is touted as able to take on any water hazard, handle any ice like a champ, and get over obstacles up to 70 cm (27.5 inches) high. 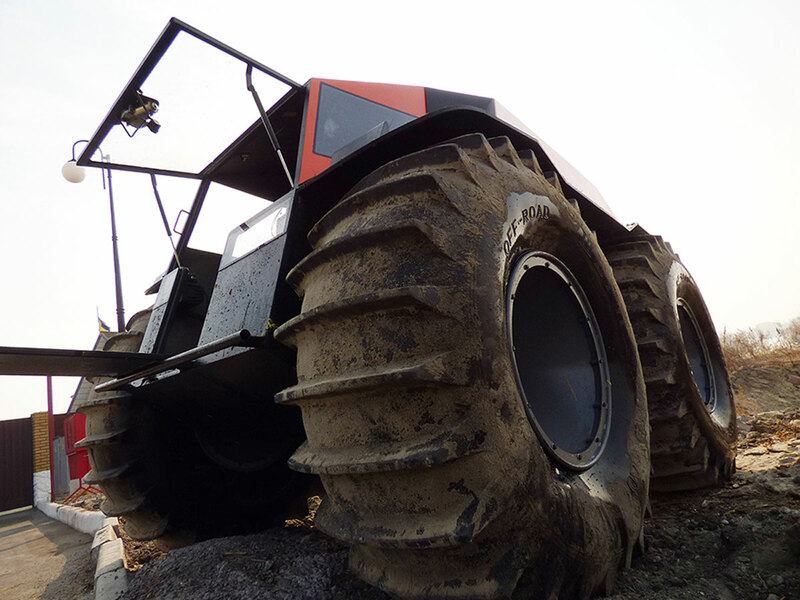 Whether you’re talking about a fallen tree or a boulder, it can climb it. 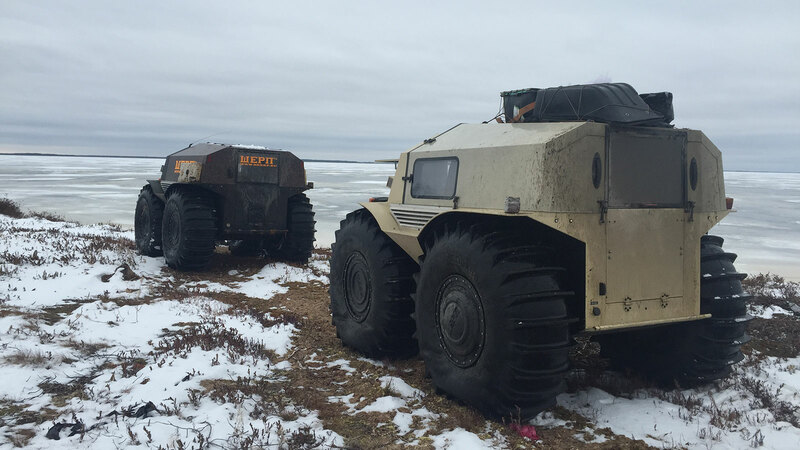 The Sherp has been tested in places like the Tundra, Siberian Taiga, Mountain of Kola Peninsula, and the swamps of the Yugra. 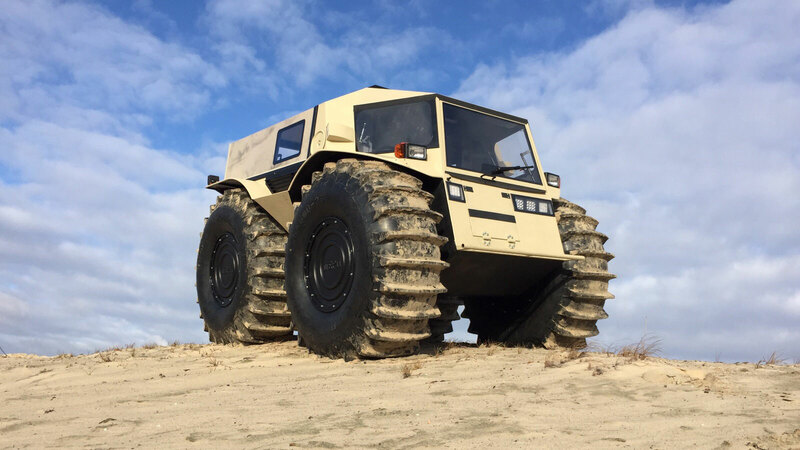 The Sherp features a special gasoline system that allows you to climb steep grades without having to worry about the engine running out of fuel. 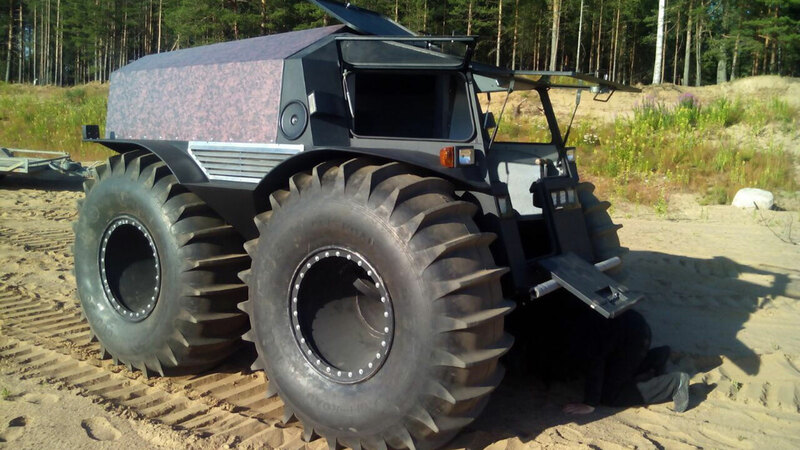 Additional perks include a soft top tent, automatic heating system, halogen headlights, 58 liter fuel tank, Kingston valves to drain water from the body, two batteries, and enough space to sleep four. 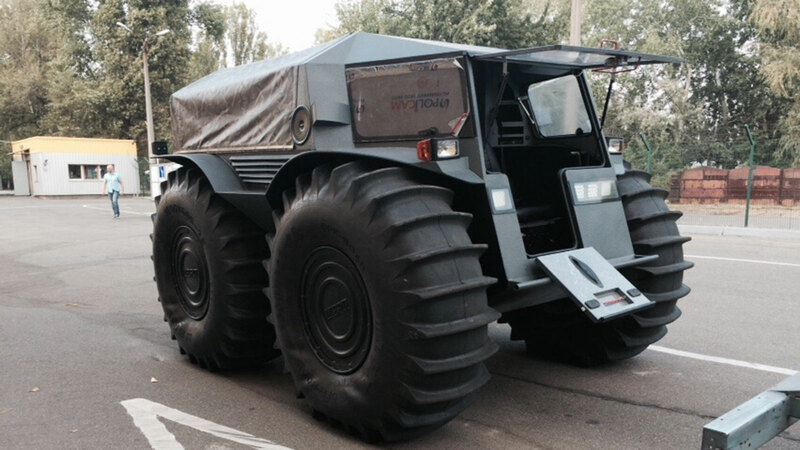 The next time our friends and families get together for a camping trip, I’d love to show up in one of these things.